Get ready to run through the terrain of Marine Corps Base, Camp Pendleton where our U.S. Marines train. There will be over 20 obstacles, mud pits and other challenges along our 10K and 5K courses - plus a Kids Mud Run. 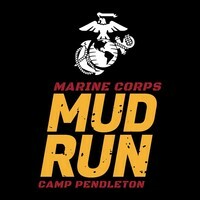 Join us, and over 300 Marines who will be motivating participants along the course in the longest running mud run in the Nation. This event features post race showers provided by Dr. Bronner's Magic Foam Experience, an after party with food vendors and beer tent, and the Mud Run store! Your participantion helps support quality-of-life programs for Marines aboard Camp Pendleton. Don't miss out on our 27th ANNIVERSARY RACE! Sign up today - We Devil Dog Dare You! **NOTE: Discount code good for any adult or Family Package registration.